Your animals will love spending time in the spacious Loafing Shed. 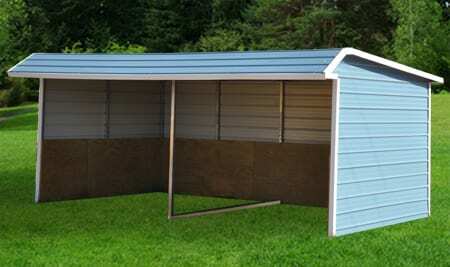 The 2-foot overhang in front shelters your horses or livestock from the rain, snow or hail. The kickwalls along the back provide extra support for the most rugged usage.